The last few years, I always seem to be pregnant or nursing and I get sick of drinking water all of the time ... especially during parties. I love having a fun mocktail to sip on as well as have a fun cocktail for those who can ... and when I'm ready for that cocktail! 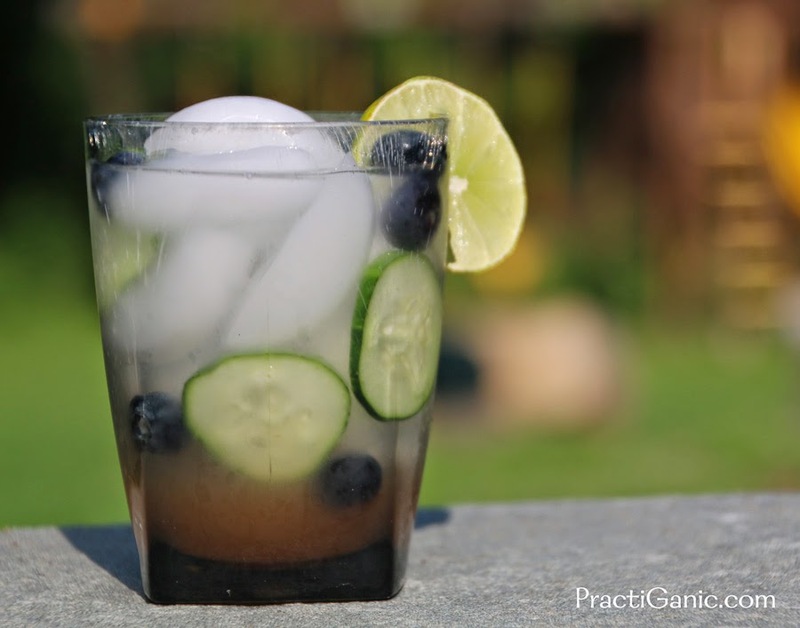 For me, there's no better time than summer to sip on those fun drinks because of all the fresh ingredients. Many times, I simply muddle some fresh fruit with mint or lemon balm and add it to my water or club soda, but there are those special occasions that I go all out and make a simple syrup. 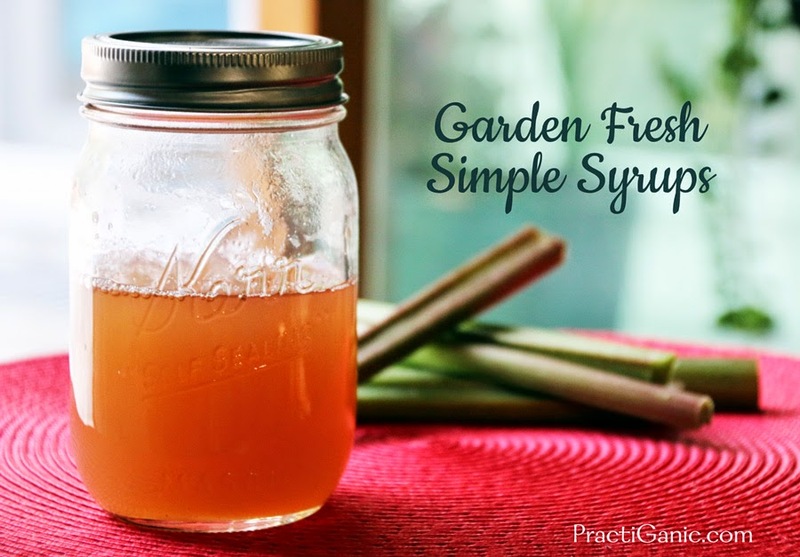 Simple syrups are so fun to add to any drink and they are ridiculously quick and easy to make! Cherry Lime (do the cherries as the recipe calls for and add 1 T of fresh lime juice after you strain the fruit. 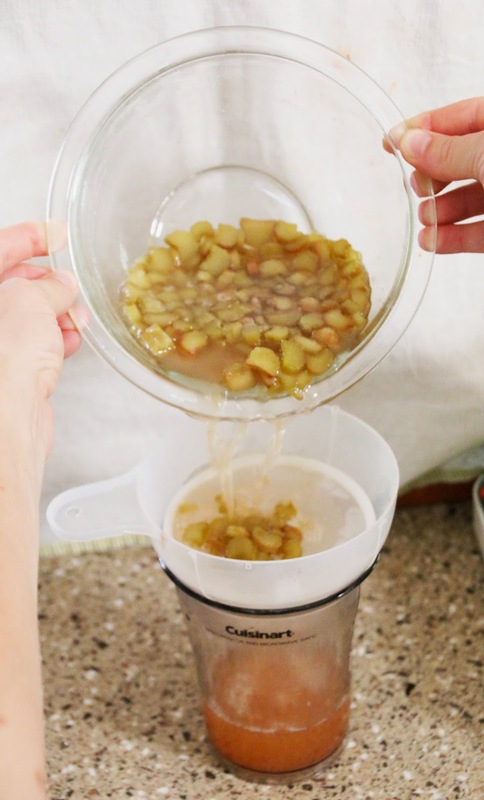 Vanilla: Use 1 vanilla bean instead of the fruit. Bring water and sugar to boil so that sugar dissolves completely. Add in your chopped fruit and lower heat to medium heat and simmer for an additional 10 minutes. Strain fruit out and chill. Cover and keep refrigerated for up to 2 weeks. Add 1 or 2 oz of syrup per cup to your favorite mocktails and cocktails! Rhubarb Simple Syrup with Club Soda ... Cucumbers and Blueberries made it extra bright tasting!